There are many Matsuri (Festivals) in Japan which draw visitors from all over the world. 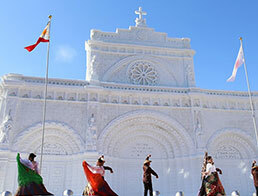 From religious festivals to harvest festivals, you’ll find the local community celebrates them. Some of these celebrations are supported by local shrines or temples. The festivals’ preparation begins weeks before the event and has carefully designed costumes, floats, portable shrines and ceremonies. These stunning parades with traditional music and dances are a few examples of what can be seen in many towns across Japan. 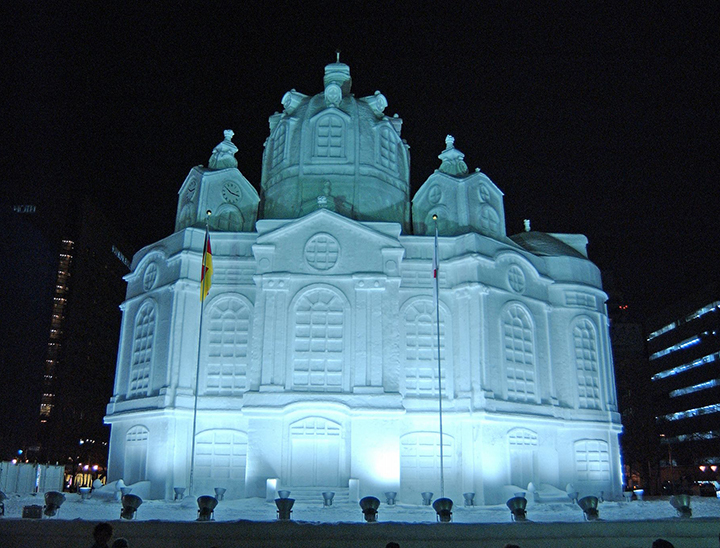 Sapporo Yuki Matsuri is a one week’s showcase of massive snow sculptures, hundreds of ice carvings with shows and concerts held during the festival. 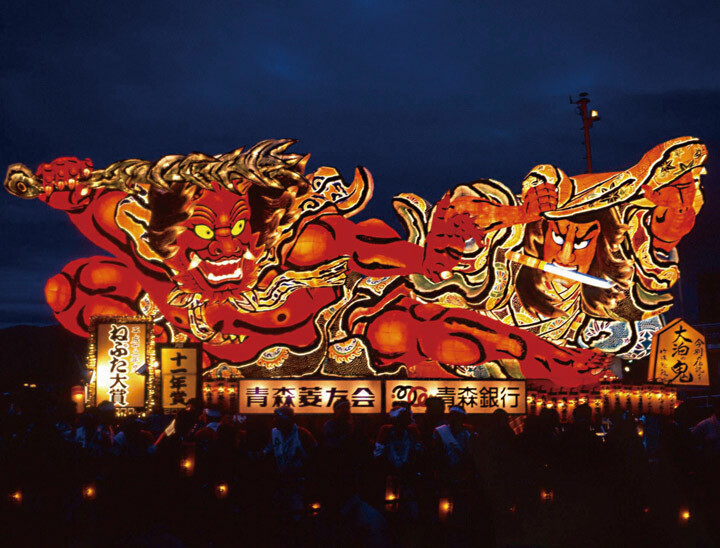 You can see on the Illuminated Nebuta (floats) made of papier-mache, various forms from the famous Kabuki theatre. There are also historical and mystical characters which form the main attraction of the festival. Accompanying the floats are flutes and Taiko drums with hundreds of dancers known as Haneto. Everyone is welcome to join the festivities as long as they wear a Haneto dancer costume. Don’t forget to join in with the dancers whilst celebrating the event. 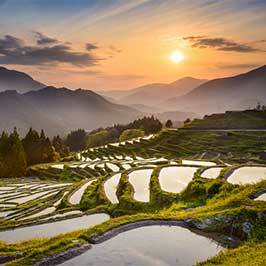 It is one of the greatest festivals in Tohoku region and draws millions of visitors each year. 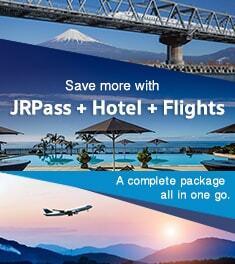 From Tokyo take the JR Tohoku bullet train to Shin-Aomori Station ↔ transfer to train to JR train to JR Aomori Station. The Kanda Matsuri is one of the greatest festivals in Tokyo and one of the best festivals that represents Edo. It only happens every other odd year (for example 2015, 2017). 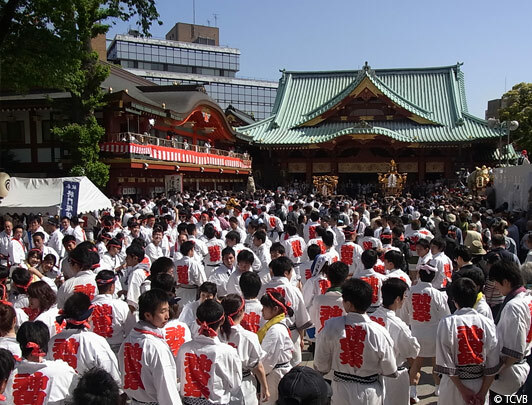 The Kanda Matsuri is the festival of the Kanda Myojin Shrine which honours three deities: Daikokuten (one of the Seven Lucky Gods of good fortune), Ebisu (god of fishermen and luck), and Taira no Masakado - a feudal lord of the 10th century who was worshipped and deified. The portable shrines are paraded through the streets to bring good fortune and blessing to local residents. It is followed by hundreds of musicians, dancers and floats. 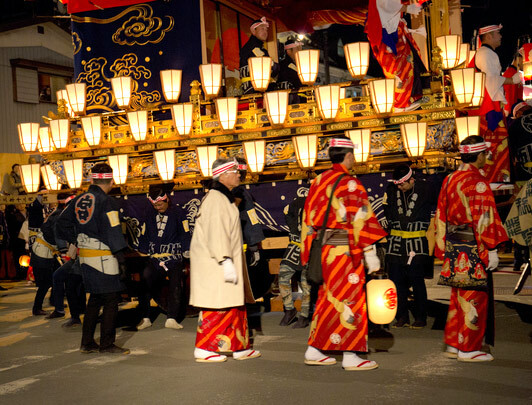 With festive floats, Mikoshis and a firework display, the Chichibu night festival is for the Chichibu Shrine and is one of the greatest float festivals in Japan. The floats are lit with lanterns and are richly decorated in bright colours. Some floats turn into Kabuki stages and Kabuki plays are performed during the festival. The festival ends with all the floats lined up at the city hall followed by a 2 hour firework display. Chichibu Shrine, Chichibu City, Saitama Prefecture From Ueno Station in Tokyo take JR train to Kumagaya station then transfer to the Chichibu Railways for Chichibu station. The Takayama Festival is held every spring (festival of Hie Shrine to pray for a good harvest) and autumn (festival of Hachiman Shrine). 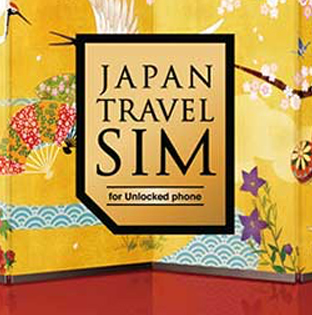 It is one of Japan’s most beautiful float festivals together with the Gion Matsuri and Chichibu Yomatsuri. This particular festival is magnificent seeing floats dating back to the 17th century, each is exquisitely decorated, displaying superb craftsmanship made by the ‘artisans of Hida’. It must be noted that the floats (Yatai) are considered cultural assets by the national government. The origin of Tanabata Matsuri festivals is to pray for good harvest later in autumn derived from an ancient Japanese Shinto purification ceremony traditionally held on 7th July and it’s related to Obon festival. After introduced the Star Festival to celebrate the meeting of deities Orihime (weaving princess) and Hikoboshi (cow herder) from China in 8th century, those two festivals are mixed and become to cerebrate as one festival. 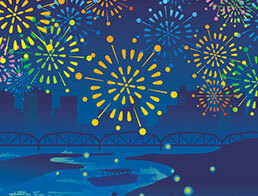 The modern Tanabata festival is known as its derived from the Chinese originated Star Festival. 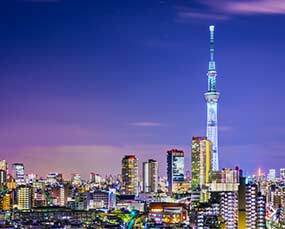 Sendai Tanabata Festival is held on 6th ~ 8th August based on old Chinese calendar and the festival is known as one of the three great festivals in Tohoku region. 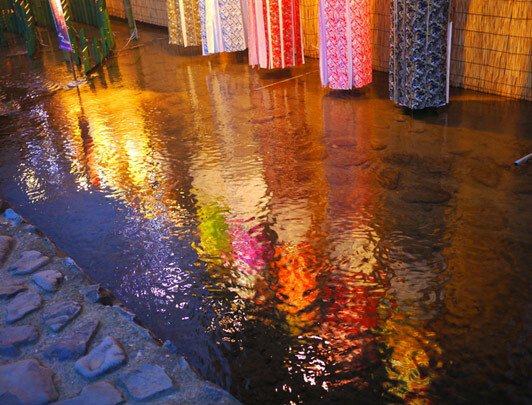 The main features of the festival is the colorful and gorgeous Tanabata decorations can be found along the Central Sendai and neighbouring shopping districts. Sendai City, Miyagi prefecture, nearest station JR Sendai station. The Gion Matsuri is a month long festival of Yasaka Shrine held in July. The festival originally started as a religious ritual to get rid of the plague that spread throughout Japan in 869. 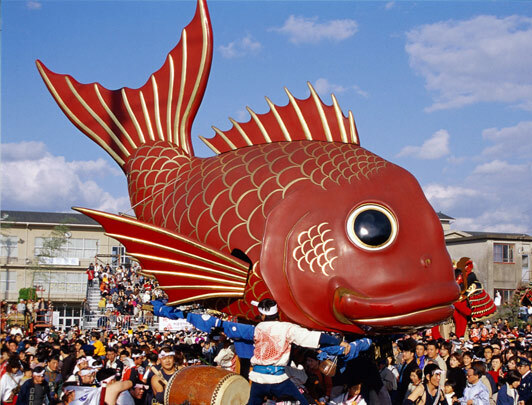 The main event of the festival is the grand processions of floats, called Yamahoko Junko (registered as an Intangible Cultural Heritage of Humanity by UNESCO). The processions of floats take place on 17th and 24th July along Shijo Kawaramachi and Oike streets. Also officially named as Kamo festival, it is a festival for both Shimogamo Shrine and the Kamigamo Shrine in Kyoto. 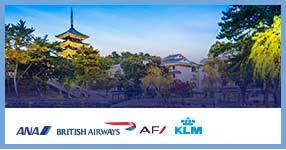 The festival today is known for its elegant parade with people dressed in classic costumes of the Heian Period. The Tenjin Festival is a large festival and is one of the best Matsuri’s in Japan. It’s the festival of Tenmangu Shrine in Osaka and pays tribute to Sugawara No Michizane (the god of learning and art). The festival has two parts, the land procession with thousands of local participants including drummers, dancers and performers and locals dressed in traditional clothes and the festival that takes place on the Okawa River. At night, the participants with their portable shrines transfer to boats culminating in a river procession and a firework display. Osaka Tenmangu Shrine, nearest station Osaka Tenmangu station. It is known as the Fighting Festival and it’s one of the famous and dangerous festivals in Japan. Yatai floats representing the seven districts of Himeji gathers and worships together at Matsubara Hachiman Shrine accompanied by processions, music and a display of colourful costumes. 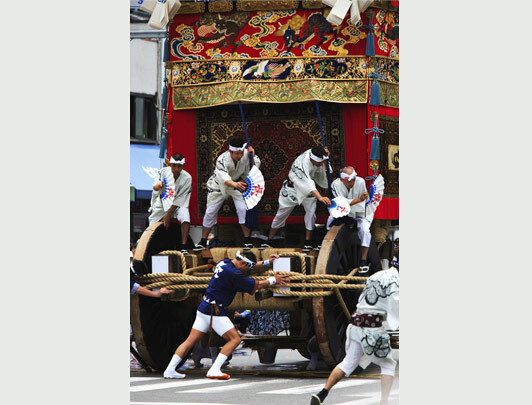 On the second day, huge mikoshis (portable shrines) are carried by the representatives of each district (only men are allowed to join) who enter the square and then proceed to fight each other. There are thousands of spectators all gathered and seated on the hilltops to witness the event. It is believed that through this practice, the villages who participated are blessed by the gods with good harvests and fortune. 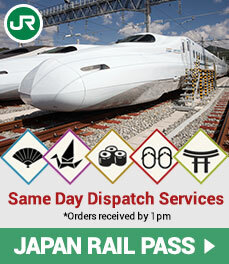 from Himeji station, take the train to Sanyo Dentetsu train to Shirahamanomiya Station or Mega station. Walk 10-15 minute to the shrine or the Otabi Mountain. Saidaiji Eyou Matsuri known as Hadaka Matsuri is one of the three most eccentric festivals of Japan with over 500 years history. Nearly 10,000 men wear only fundoshi traditional loincloths purify their body with cold water first, and battle to grab a pair of sacred sticks (shingi) thrown from the top of a temple. Whoever catches the shingi will be regarded as the “lucky man” and blessed with a year of good luck and happiness. 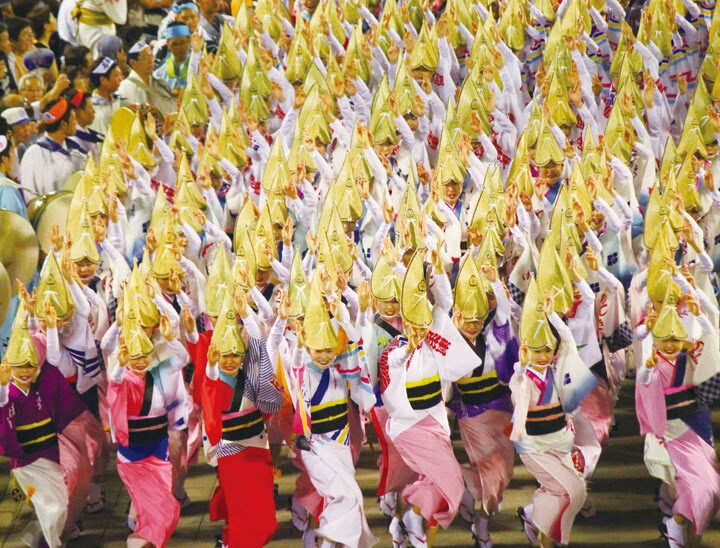 A dance festival for returning ancestral spirits, the Awa Odori has become increasing popular nationwide with hundreds of dancers, who call themselves Ren, compete with each other’s dance performance. The festival is colourful, full of fun has lively music and is well attended by locals and tourists alike. The main attraction starts from 18.00, when groups of dancers perform in various parts of Tokushima city centre until 22.30. There are seven stages in and around the festival area with a choice between reserved seats (for a small fee) or seats that are free of charge. Hakata Gion Yamakasa is a Shinto ritual dedicated to Kushida Shrine, a grand tutelary shrine of Hakata and it’s one of the biggest festivals in Kyushu. 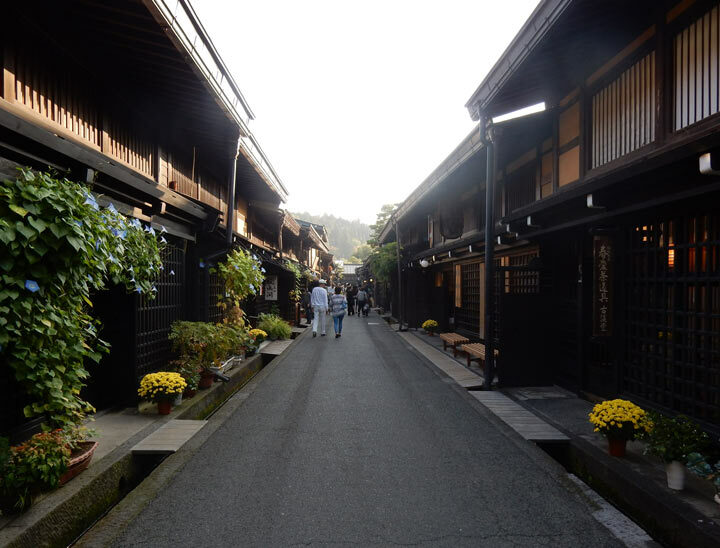 The Hakata Gion Yamakasa is believed to have evolved from a legend that in the 12th century, a Buddhist priest, carried by the town’s people, sprinkled holy water to rid the town of plague. It has been cited as Important Intangible Cultural Property along with its history and traditions. There are two types of Yamakasa (floats) which are used during the festival which are the kazariyama (decorative floats) and the kakiyama (carried floats) made by different neighbourhoods in Fukuoka. 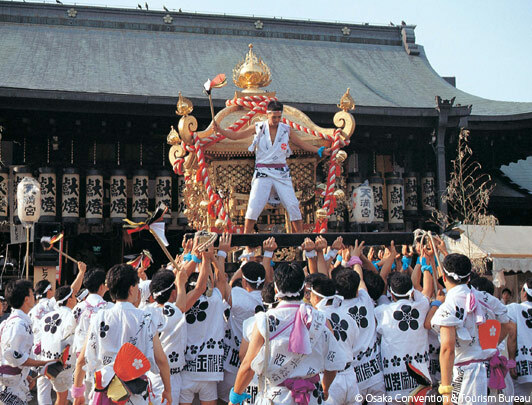 The highlight of the festival is in the early morning of 15th July where the seven Nagare (teams) from the seven area of Hakata ward with their kakiyama assemble at Kushida Jinja Shrine and race carrying huge floats on their shoulders. The Karatsu Kunchi festival is an autumn festival of Karatsu Jinja Shrine which features 14 huge Hikiyama (floats) made from hundreds of layers of washi paper, linen and wood and it is covered with different types of lacquer and finished off with gold and silver leaf. 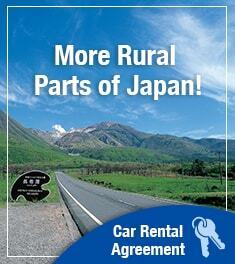 It’s an important intangible folk cultural property designated by the Japanese government. 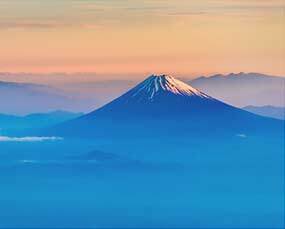 It’s one of the major festivals in Kyushu that has captured the imagination of many spectators and has a huge number of participants. The highlight of the festival is the Otabisho Shinko held on 3rd November, where the 14 floats are paraded and hauled a through the city.